Fill out our simple form and get quotes from local ceilidh and folk bands. English folk bands and Scottish or Irish ceilidh bands can take you back to your roots or whisk you back to days gone by. 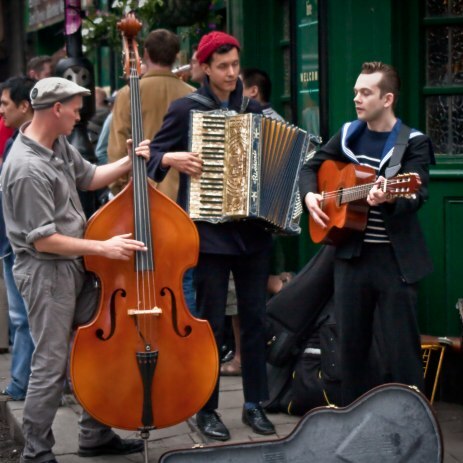 Opt for traditional music, or that with a modern twist, either way there’ll be lots of instruments and lots of dancing! Hire a folk or ceilidh band for your event here. Ceilidh bands are a fantastic way to engage guests at your wedding or event. Think guitars, pipes, fiddles and accordions, there’ll be lots of jolly music and foot tapping that will bring everyone to the dance floor. Folk bands will come armed with acoustic guitars and poignant lyrics, perfect for wedding receptions and helping everyone feel a little sentimental. The UK has some wonderfully talented musicians, so create some special memories and lots of fun at your event by hiring a ceilidh or folk band. Simply browse musicians here and select the ones you’d like to receive a quote from.